Make cleaning quick and easy with this handy Broom and Dustpan with Handle Set. 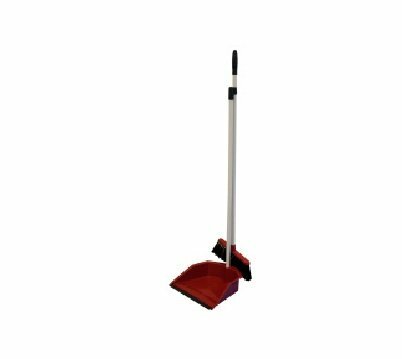 Includes a 36" angled broom with an 8.5" wide bristle head and a 10" x 9" x 2.75" dustpan with a 30" long handle. Pieces snap together for compact storage. Made of sturdy plastic. Available in assorted colors. Comes loose with a UPC tag.